We had a great time at the Cane Creek Campground in Waxhaw, NC. 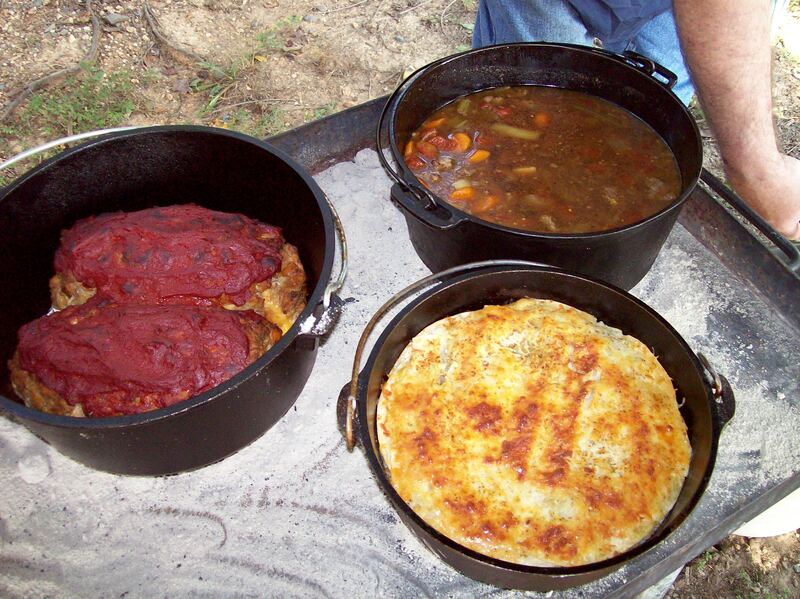 The Dutch Oven Gathering turned out better than any of us could have expected. We had 4 cooks total, along with guest eager to see what was for dinner and to learn the Art of Dutch Oven Cooking. 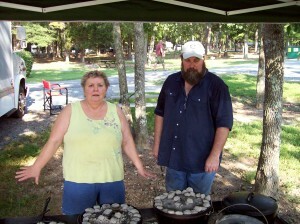 We had folks from both North and South Carolina. Some camped out with us for the weekend, while others came to spend the day. We’re sure everyone learned something new and walked away feeling good having made new friends. The recipes that we put together were fantastic, Meat Loaf, Chicken Pot Pie, Enchilada Casserole, Beef Stew and much more. We had 9 dishes to sample and each and everyone was very good. 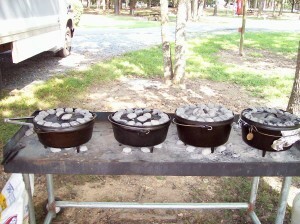 Here’s few Dutch Ovens on the cook table. 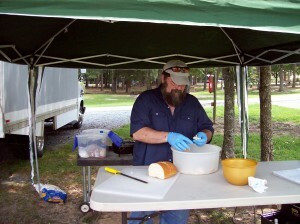 The campground was buzzing with the smells of camp cooking. 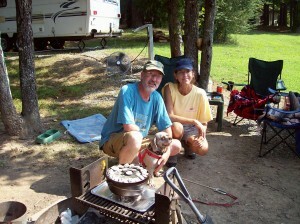 We had campers coming by to see what we were doing and were they surprised. 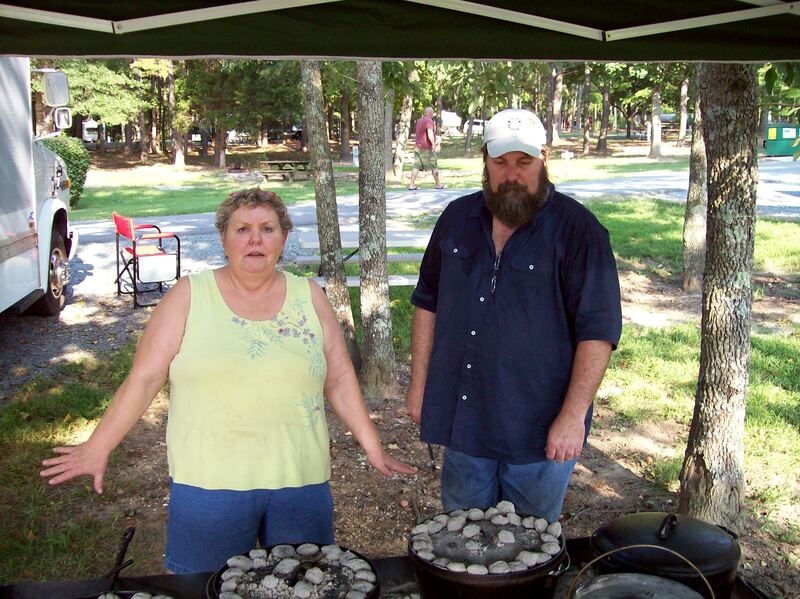 Diane and Michael keeping an eye on the Dutch Ovens. Michael preparing Pina Colada Bread Pudding. We enjoyed ourselves very much and hope to do this again real soon.